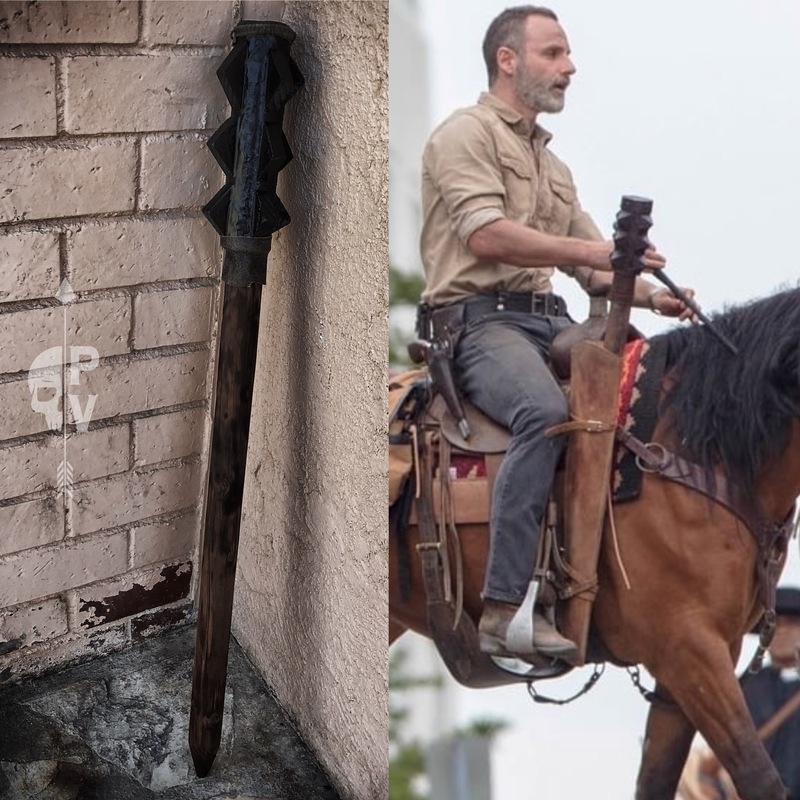 Veteran-owned Praetorian Ventures is currently offering pre-order sales for a replica of Rick Grimes’ mace, as seen from set photos of the upcoming 9th season of The Walking Dead. This mace is 36″ long, with a body made of wood, a steel cap with 12 forged steel pyramids, and a custom leather wrap. Additionally, customers can select a grip color from the following options: Black, White, Red, or Zombie Green, and the mace also comes with a full-length leather scabbard. Those interested in the cosplay aspect of such an item should take note: Praetorian Ventures claims this replica is designed as a “savage functioning replica and is not a toy.” However, they will be offering a cosplay-friendly version in September.